Tour Suppliers will have one-on-one appointments with all of the tour operators/planners in attendance (30 – 40). To register, please complete the form below. 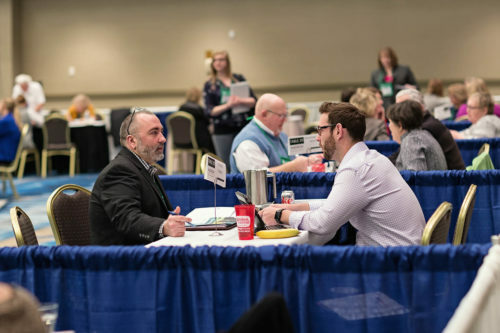 To attend the Midwest Marketplace tour suppliers must be from Wisconsin, Michigan, Minnesota, Illinois, Indiana, Iowa, North and South Dakota. Registration fees can be paid by check or credit card (VISA/MC or American Express). Invoices will be sent upon receipt of completed registration form. Overnight accommodations at the Best Western Waterfront Hotel & Convention Center in Oshkosh, WI are $99+ per night. Please plan on arriving by 1:00 pm on Sunday, April 19th. Reservations information will be available in September.